﻿ Kathmandu Boutique Hotel (Nepal) | FROM $10 - SAVE ON AGODA! 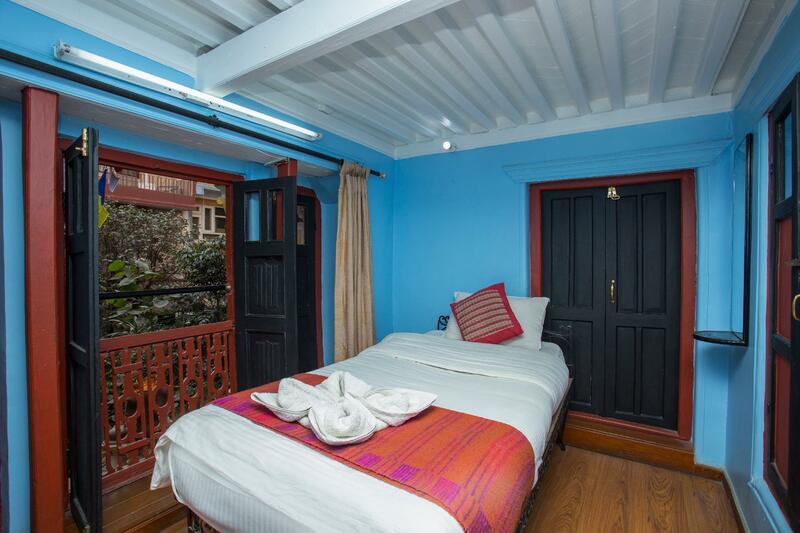 "It is a charming building with a lovely garden just off the..."
Have a question for Kathmandu Boutique Hotel? "Everybody was really nice to us and we had a lot of space in the room!" "All level of staffs in the hotel are super friendly and very helpful." "The staff is great, the room is comfortable, and they have a nice courtyard and restaurant that is very relaxing." "We felt really comfortable and enjoyed the garden!" Renovated in 2010, the Kathmandu Boutique Hotel guarantees guests a pleasant stay whether in Kathmandu for business or pleasure. The hotel is not too far from the city center: just 2.4 km away, and it normally takes about 30 minutes to reach the airport. With its convenient location, the hotel offers easy access to the city's must-see destinations. 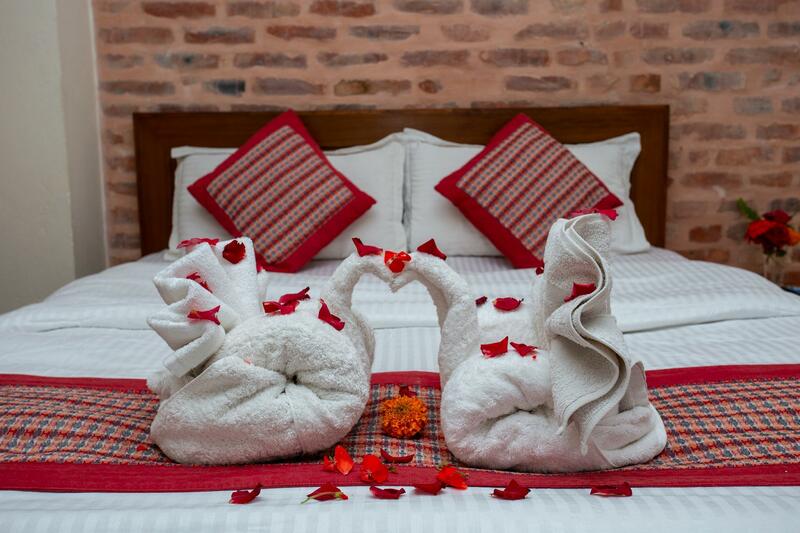 At Kathmandu Boutique Hotel, the excellent service and superior facilities make for an unforgettable stay. For the comfort and convenience of guests, the hotel offers 24-hour room service, free Wi-Fi in all rooms, 24-hour front desk, express check-in/check-out, luggage storage. Hotel accommodations have been carefully appointed to the highest degree of comfort and convenience. In some of the rooms, guests can find television LCD/plasma screen, complimentary instant coffee, complimentary tea, free welcome drink, linens. The hotel offers fantastic facilities, including garden, to help you unwind after an action-packed day in the city. 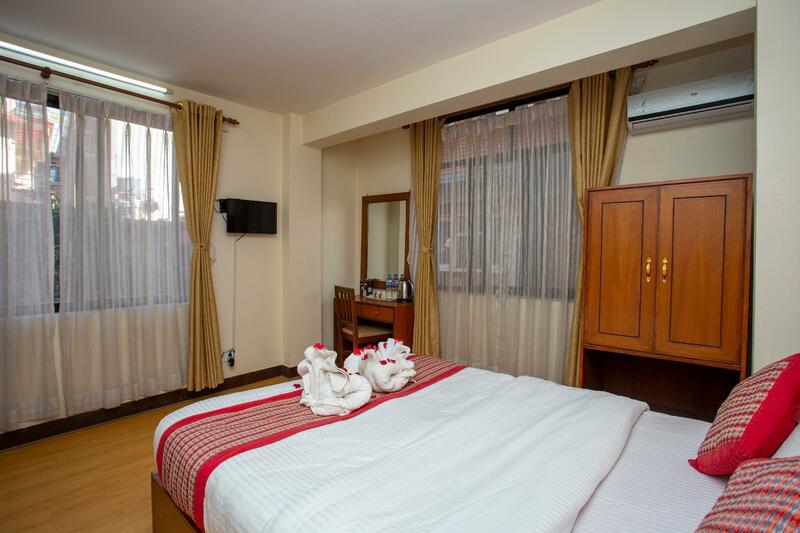 Kathmandu Boutique Hotel is an ideal place of stay for travelers seeking charm, comfort and convenience in Kathmandu. "The hotel is generally clean and comfortable." I'd booked the rooftop deluxe for two nights, but after arriving from the airport was told "Sorry, this room isn't available tonight. We'll move you there tomorrow." Then checked into a room two floors down with very little sunlight (I don't even see it listed on the bookable rooms online), which made for a bit of a dismal stay during the cold season. The next day at noon, I was told "Oh sorry, your room still isn't available, but we can buy you dinner." At checkout the next morning, the checkout clerk had the bill for dinner held up for me to pay until I said, "Ah, fine, I'll just add it to the review," at which point someone else at the desk perked up to fix the error. I don't know if the Kathmandu hotels are using some special algorithm these days to double-book rooms or if they're just letting things slide far downhill, but this is the second time on this trip that I was checked into a room that grossly misrepresents what I booked. We have lived for a long time and the overall hotel service attitude is not good, especially the manager. The only friendliness is the boys on duty at night, and the people are very good. During the stay, the restaurant has blatantly raised the price, and we have to pay the daily free mineral water price when checking out! I didn’t say it was charged before, and which hotel mineral water would charge. . . Not a drink! The staff were very nice and friendly. My basic room was huge and had a balcony to open the door and let air in. The location is set off of the street, so there is not any issues with noise. Wish I could have stayed longer. I stayed here before and after my trip to Pokhara. The staff are very helpful and they can be your walking tour guide. I was fetched by the hotel manager from the airport together with his driver. They were able to fix and arrange my bus trip to Pokhara even though I arrived late at night. When I came back, airport pickup went smoothly and I was really impressed with the driver this time (I forgot the name). He also drove me to Bakhtapur and temple hopping in Kathmandu. He is really well-informed and he said that he was driving for 5-years now. He knows almost everything I ask, from current news, their government up to their tourist attractions and history. I can say he's really well-informed. Location is just a walk to Thamel shopping area. 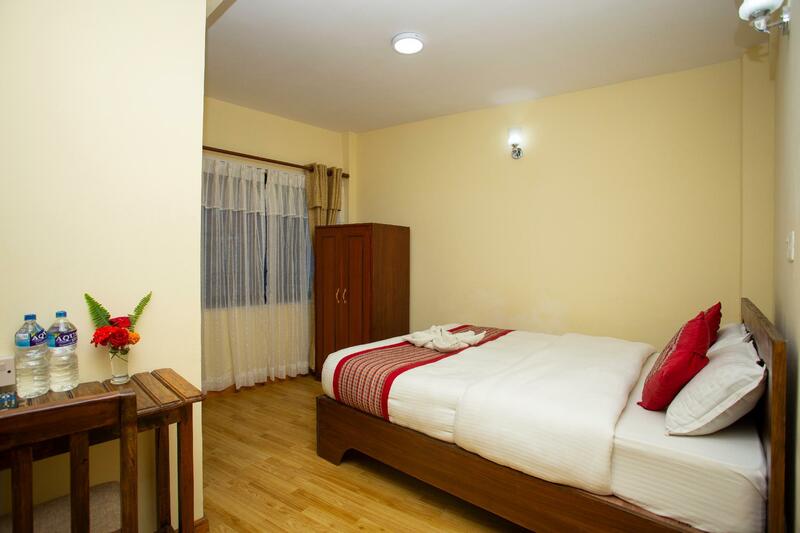 The good thing is that, this hotel is situated few meters away from the Thamel road which makes it peaceful and quiet. The garden is indeed a relaxing view which is not normally present on some hotels I passed through. Definitely will book again. Thanks to all the wonderful staff. They even gave me a souvenir scarf for good luck. Namaskar!!! i cant describe with words how was my experience in boutique hotel... Besides being the most beautiful hotel, an ex king palace, also has gardens, its like a little paradise in the middle of the city... its tucked away yet its super central. the manager, gurung its awesome, also the staff its beyond loving, Ujwal and Bhimsen... amazing, the breakfast its super good,they serve u teas and coffee when u need it, water also... i felt like i was at home... and now they are all my friends and in my heart... i come back there in a heart beat, and i recommend it to everyone! an amazing and true unique experience! and on top, the value its super great, not to be missed at all! Had a great stay at this hotel. KB, the manager, was extremely helpful and knowledgeable. They have a beautiful terrace on the roof, the rooms are clean and the location is perfect. The food wasn't the best but there are many excellent and affordable restaurants just outside so it's not an issue. I would most certainly stay there on my next trip to Nepal. I really enjoyed my stay! By the time I left I felt like family. The staff and owner were very attentive and accommodating to my needs, providing welcoming tea/coffee and always smiling. They provided any help that could be desired. The hotel is full of charm and character, the beds comfy and warm, and the garden is peaceful. Their place is a short walk from Thamel, off the street, and quite. They have a wonderful guard on duty. I always felt safe and happy. I even came back with friends and stayed again after my trip to Pokhara. my friends really enjoyed their stay as well! I love these guys and will defiantly be back again! Highly recommend this hotel. 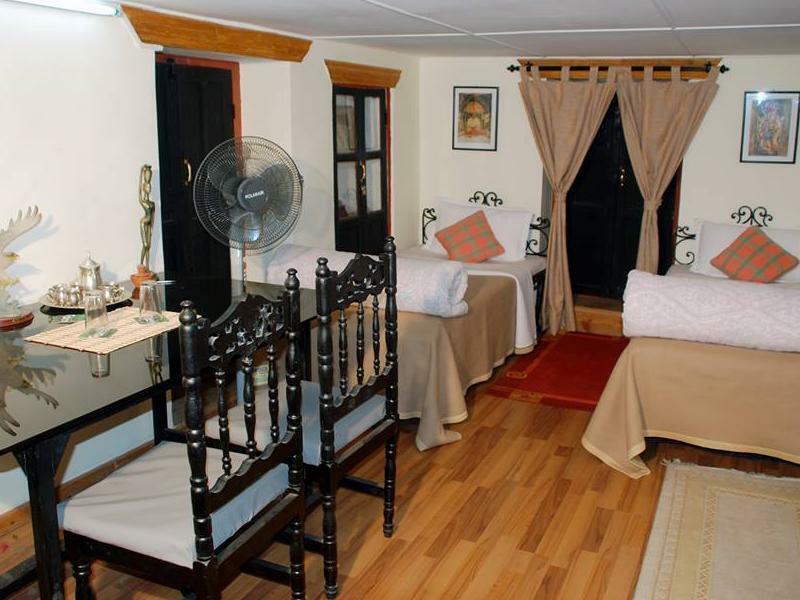 The staff is great, the room is comfortable, and they have a nice courtyard and restaurant that is very relaxing. The main street is dusty but thats Khatmandu. There is no dust at the hotel as its set back off the main road. They upgraded my room for free, which was very nice. Location is nearby Thamel shops. They have hot shower, which is very important for winter months. What I didn't like was that the staff was trying to get me to go on their tours several times. They were aggressive when I refused. They said why I am "like that"? They wanted to add me on Facebook so that they can keep in touch me. I said no, and they got aggressive once again. Nice hotel with unprofessional staff. Don't know if we would call this a "Boutique hotel" but we had a big room and perfect service for a good price. It is a charming building with a lovely garden just off the busy road. We had a good breakfast and excellent service when we wanted a taxi for the airport.. We only stayed for a night and it was perfect for that. I always stay here when I'm in Kathmandu. 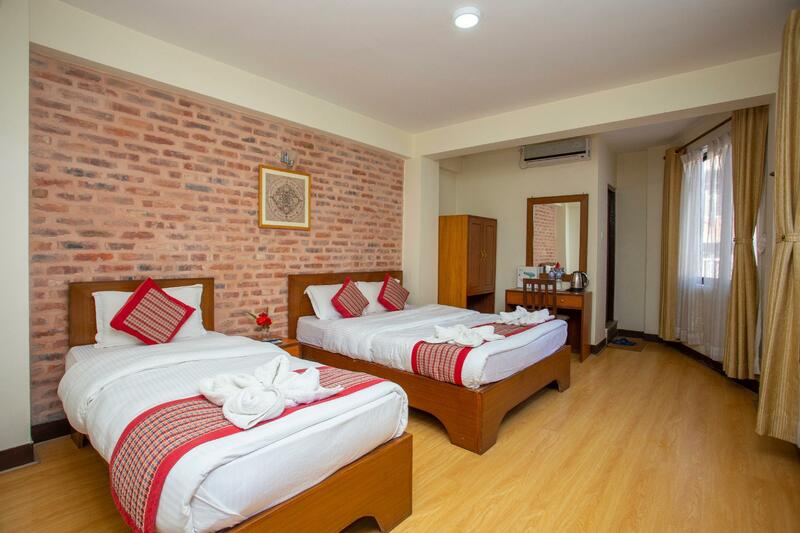 The hotel is located in a small, quiet street near Chhetrapati Square and has a nice, little garden, where you can relax and enjoy a good breakfast and a cup of tea,. The staff is very friendly and will try to make your stay as pleasant as possible. I would recommend the rooms with an integrated bathroom since the shared bathroom is on the roof of the building. Opt for this place if you don't want to take a bath,coz the room here doesn't have a bathroom,all it has is a shower with no place to stand.to take bath,one will have stand on the commode.and when you ask why there is no bathroom,the answer I got from the manager was that,this is what you get for the price.The Kathmandu house gives meaning to the word,TERRIBLE.the manager is not at all friendly and is very rude. Couldn't have asked for anything more. Hotel was tucked away down an alley a short 15 minute walk to central Thamel. They offered free breakfast and coffee, cheap bottled water, and very decent rooms for the price. I was forced to upgrade to a private bath room due to overbooking, but the price was inconsequential. Would recommend this place to anyone staying in KTM. Extremely helpful staff who can help organize travel or adventure in Nepal.